Two local men who served in the cabinet of BC’s first New Democratic government receive flattering portrayals in a book about that era. Jul. 18, 2013 10:00 a.m.
Two local men who served in the cabinet of BC’s first New Democratic government receive flattering portrayals in a recent book about that era. As labour minister, Revelstoke-Slocan MLA Bill King oversaw a major re-write of the labour code and revamp of the BC Labour Relations Board. He also imposed back-to-work legislation on 50,000 striking workers in one fell swoop. King and the premier both felt that despite the NDP’s ties to the movement, trade unions should not dictate labour relations in BC — a stance that didn’t endear them to the BC Federation of Labour. The new labour code, unveiled in 1973, “provoked gasps at its sheer, breathtaking audacity,” the authors write. It removed jurisdiction over labour disputes from the courts in favour of the Labour Relations Board and made it easier to organize a workforce. Police officers, firefighters, and hospital staff were also given the right to strike. Although hailed as the most progressive legislation in the country, the BC Fed was deeply offended by its use of binding arbitration and restriction of picketing rights. Despite measures aimed at calming the volatile labour atmosphere, skyrocketing inflation resulted in extraordinary wage demands and then a tidal wave of strikes and lockouts, involving pulp mill workers, trainsmen, truck drivers, and supermarket employees. King’s efforts to avoid the work stoppages proved futile, so on October 7, 1975, he imposed a cooling off period and sent them all back to work. Labour leaders were appalled, but others called it gutsy leadership. King, who went to high school in Nelson, returned last summer for the Fairview Athletic Club reunion. He now lives in Fruitvale. Meanwhile, Nelson-Creston MLA Lorne Nicolson became BC’s — and Canada’s — first housing minister, despite no background in housing policy. On his watch, the government bought a private development company, and with it all the tools needed to add social housing. Nicolson’s ministry acquired and converted properties and built new housing as well: 1,400 units in 1974, a 36 per cent increase in stock. By the end of 1976, when the NDP was long out of office, the stock had doubled. In a photo caption, the authors suggest “No one could rouse an audience like Dave Barrett, perhaps the finest political orator in the province’s history” — although former Nelson-Creston MLA Corky Evans might challenge him for the title. Yet it was for naught. While Nicolson and King were both re-elected, their government was soundly defeated. 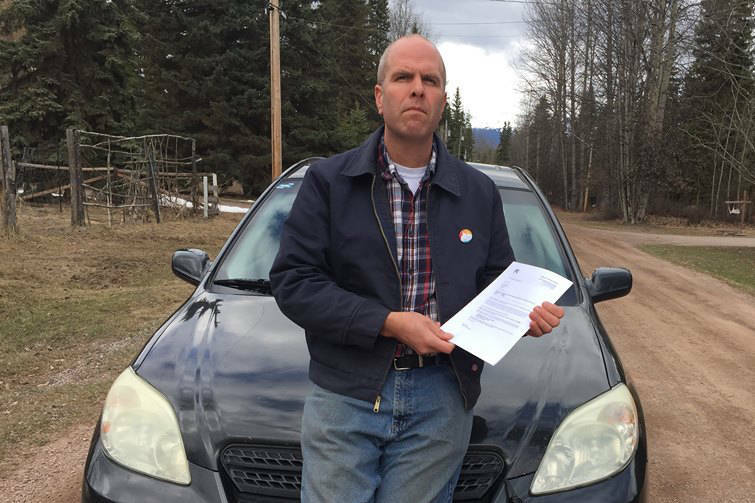 THE LAST WORD ON KENNETH CAMPBELL: I devoted parts of two recent columns to Kenneth Campbell, the Liberal MLA for Nelson who in 1924 stepped aside so that Premier John Oliver could run here in a byelection. But I was unable to establish what happened to Campbell after he left the area a few years later. I’m indebted to Jan Fisher, a distant relative of Campbell’s wife Margaret, for providing the answer. Campbell died in Vancouver on March 28, 1951 at 70. He was buried in Nelson in the same cemetery plot as his wife and their infant daughter Effie. The Campbells also had several other children, including two sons born in Sandon. Charles died last year at 95 while Ken Jr. lives in the Lower Mainland.